WHEN YOUR SCRIPT NEEDS TO BE TRANSLATED, WHEN SUBTITLES ARE MISSING, OR WHEN THE LEADING ACTOR HAS TROUBLE GETTING THE ACCENT DOWN: WE CAN HELP YOU. DUBDOLLS HAS OFFICES IN GERMANY (COLOGNE + BERLIN) AND SWITZERLAND (WINTERTHUR). WE OFFER TRANSLATIONS, SUBTITLING, TRANSCRIPTIONS AND DIALOGUE COACHING IN VARIOUS LANGUAGES. UTILIZING OUR BI-NATIONAL PLATFORM, WE HAVE ESTABLISHED OURSELVES AS TRANSLATORS OF COUNTLESS MEDIA-RELATED PROJECTS, WORKING WITH AN INTERNATIONAL NETWORK OF CAREFULLY SELECTED AUTHORS, TRANSLATORS AND COACHES. EXCELLENT EAST-WEST RELATIONS BETWEEN VIETNAM AND GERMANY GAVE BIRTH TO CORINNE. SHE GREW UP BETWEEN GERMANY, AUSTRIA AND SWITZERLAND AT BEAUTIFUL LAKE OF CONSTANCE. AFTER HIGH SCHOOL SHE MOVED TO FRANCE TO STUDY MEDIA SCIENCES AND LINGUISTICS. FOLLOWING HER STUDIES, SHE WORKED AS AN ASSISTANT DIRECTOR ON INTERNATIONAL CO-PRODUCTIONS (AMONG OTHERS ‘FARINELLI’, ‘ANTICHRIST’, ‘THE INTERNATIONAL’, ‘PINA’, ‘ONLY LOVERS LEFT ALIVE’, ‘A MOST WANTED MAN’, ‘BABYLON BERLIN’). IN 2006 CORINNE PUBLISHED THE RADIO PLAY ‘PIPPA’, WHICH PREMIERED AT THE LEIPZIG BOOK FARE. HER SHORT MOVIE ‘GRIMM’S CUCKOO’ STARRING DEVID STRIESOW AND PETRA SCHMIDT-SCHALLER PREMIERED IN CANNES IN 2012. IN 2005, SHE FOUNDED THE MEDIA TRANSLATION SERVICE DUBDOLLS (AMONG OTHERS ‘POPE FRANCIS – A MAN OF HIS WORD’; ‘MOCKING JAY’; ‘TONI ERDMANN’; ‘NEO MAGAZIN ROYALE’; ‘THE MISSING’; ‘PARFUM’; ‘DEUTSCHLAND 86’). IN 2015, SHE GRADUATED AS PART OF THE FIRST COHORT OF THE M.A. SERIAL STORYTELLING PROGRAM AT IFS (INTERNATIONAL FILM SCHOOL COLOGNE). CURRENTLY, CORINNE IS HEAD WRITER ON THE SERIES ‘HAIL HELENE’, FUNDED BY FILM- UND MEDIENSTIFTUNG NRW. FURTHERMORE, SHE IS CO-CREATOR OF THE AWARD-WINNING WEBSERIES ‘HERMANN SOX’ AND CO-WRITER OF THE AWARD-WINNING WEBSERIES ‘DISCOCALYPSE’ (STUDIO+) AND THE SHORT FILM ‘FELICIA’. SHE IS ALSO DEVELOPING THE THRILLER SERIAL ‘DIE VERHANDLERIN’ FOR CONSTANTIN TV, THE DRAMA SERIES ‘POKERFACE’ FOR PANDORA FILMS AND THE DRAMEDY WEBSERIES ‘THE TRAIN’ FOR TELLUX NEXT. LAST BUT NOT LEAST, SHE DEVELOPS THE SERIES ‘DOG’ WITH TONY ROGERS, THE AUSTRALIAN CREATOR OF THE CULT SERIES ‘WILFRED’ AND ‘BRUCE’. THE BRANCHES OF CATHERINE’S FAMILY TREE INTERTWINE BETWEEN SWITZERLAND AND POLAND. SHE WAS BORN IN LAUSANNE WHERE SHE ALSO STUDIED FRENCH LITERATURE, LINGUISTICS AND RUSSIAN. CATHERINE WORKED IN THE FIELD OF ACADEMIC RESEARCH AND INTERPRETED IN TIFLIS FOR THE INTERNATIONAL COMMITTEE OF THE RED CROSS BEFORE MOVING TO THE GERMAN-SPEAKING PART OF SWITZERLAND. IN 2005, SHE CO-FOUNDED THE MEDIA TRANSLATION SERVICE DUBDOLLS (AMONG OTHERS POPE FRANCIS – A MAN OF HIS WORD; IN MY ROOM; PROXIMA; HIGH LIFE; TONI ERDMANN; THE MISSING; SUBMERGENCE; NEO MAGAZIN ROYALE; MOCKING JAY). SHE CO-WROTE THE SHORT MOVIE GRIMM’S CUCKOO STARRING DEVID STRIESOW AND PETRA SCHMIDT-SCHALLER PREMIERED IN CANNES 2012. IN 2016, SHE CO-FOUNDED RE-CHECK, AN AGENCY SPECIALIZED IN INVESTIGATING AND MAPPING PUBLIC HEALTH AFFAIRS, THAT OFFERS CONSULTING AND TAILORED TRAININGS. 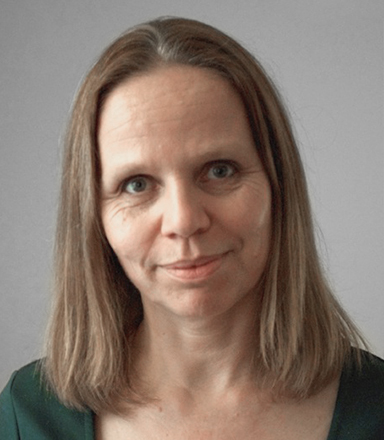 CATHERINE WORKS AS AN INVESTIGATIVE JOURNALIST AND A TRANSLATOR. SHE IS SPECIALIZED IN PUBLIC HEALTH AND PHARMACEUTICALS, WITH PARTICULAR EMPHASIS ON MARKET APPROVAL (MA), CONFLICTS OF INTEREST, EVIDENCE-BASED MEDICINE (EBM), DESIGN AND METHODOLOGY OF CLINICAL TRIALS. AS SUCH, SHE GIVES VARIOUS TRAINING COURSES, AMONG OTHERS AT THE UNIVERSITY OF GENEVA, MEDICAL CONGRESSES AND CONFERENCES FOR INVESTIGATIVE JOURNALISM. IN 2010, CATHERINE CO-SIGNED LA PIQÛRE DE TROP? WITH DR JEAN-PIERRE SPINOSA, AN INVESTIGATIVE BOOK ON THE CONTROVERSIES RELATED TO HPV VACCINATION. 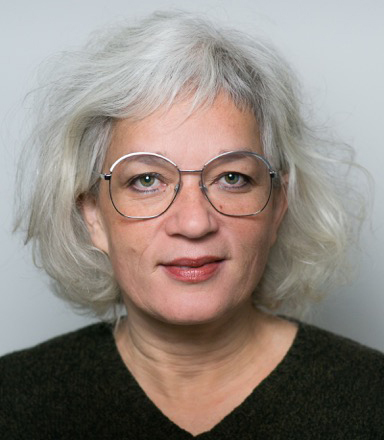 HER RESEARCH MAMMO-BUSINESS.CH ON CONFLICTS OF INTEREST IN BREAST CANCER SCREENING EARNED HER THE MEDIA AWARD OF THE SWISS ACADEMY OF SCIENCES (MEDICINE) IN 2014. IN 2016, SHE WON THE NICOLAS BOUVIER SPECIAL AWARD FOR HER CONTRE-ENQUÊTE SUR L’AFFAIRE MEDIATOR.